Activision has announced that the GHTV mode within Guitar Hero Live will be coming to an end on December 1, 2018. On that date, the mode will become unavailable to play. Additionally, on June 1, 2018, all GHTV in-game purchases will be turned off. Players can continue to use their Hero Cash and items on hand until the GHTV sunset date of December 1, 2018. GHTV was the big multiplayer and music component of the game. It allowed players to explore a variety of music via official videos, and new content was added frequently during launch months. Users could play all new songs for free as they randomly occurred on the in-game TV channels, or purchase "plays" to get their favorite songs on-demand. GHTV consisted of hundreds of songs, while the on-disk Guitar Hero Live single player campaign only 42 songs. The on-disk songs are unaffected by this service shutdown. 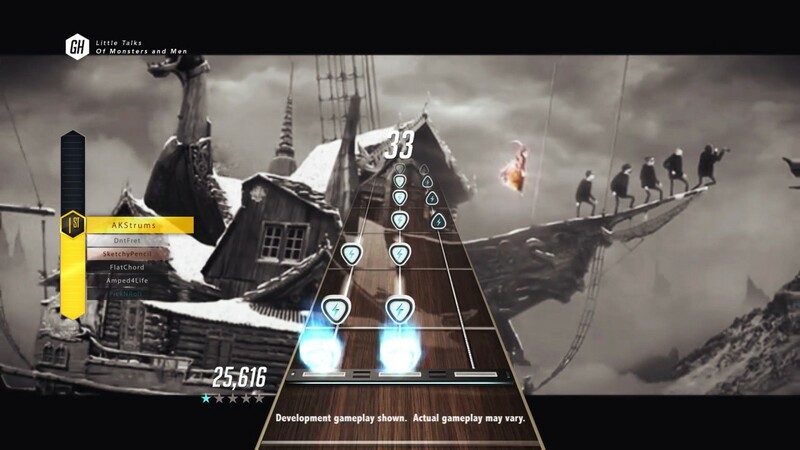 Guitar Hero Live launched in 2015. There are currently 0 members and 137 guests on the website right now. "Make some noise, the music franchise that started it all is back"
Guitar Hero Live is ranked #559 out of 1434 total reviewed games. It is ranked #38 out of 110 games reviewed in 2015.